Honoring the actual Birthday to President Abraham Lincoln today. I am from the Land of Lincoln, so we always celebrate on this day and it is still an actual holiday in Illinois. President Lincoln was born on February 12, 1809, in Hodgenville, Hodgen’s Mill, Kentucky to a then poor family. 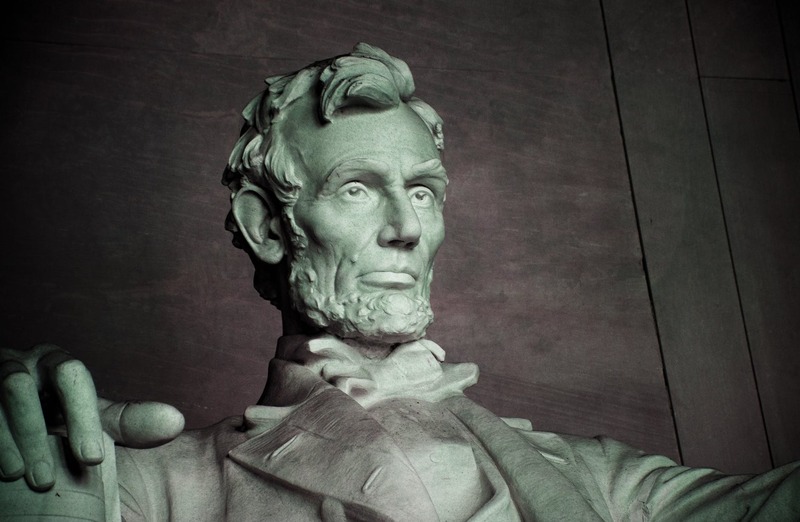 Lincoln was an American lawyer in Illinois and politician under the Whig party who started by serving state legislature then in Congress, then returning to his law practice. By 1854 he became a new member of the then new GOP Republican party and by 1858 and starred against Stephen Douglas in 6 famous Lincoln-Douglas debates–all in the State of Illinois. The popularity of the debates savored his eventual nomination by 1860 when Buchanan stepped down, and then succeeding to becoming the first to be elected as our 16th president in the Civil War era. Other merits were abolishing slavery and the Confederacy, preserving the Union, and modernizing the economy. Through the war which started 1861, he became a pro-Union leader who believed in liberty, democracy, equal rights to all, and delivered the Gettysburg address in response. He won strongly in the Union states and the anti-war Democrats called Copperheads eventually plotted his assassination. By the year 1863 the the Emancipation Proclamation transpired ordering an Army to protect escaped slaves, encouraging outlawed slavery. By January 1865 Senate passed the 13th Amendment to the US Constitution, permanently outlawing slavery. in early April 1865 the war unofficially ended, and then on the day April 14, 1865, John Wilkes Booth thereby assassinated Lincoln at the at Ford’s Theatre in Washington, D.C while attending the play Our American Cousin. The war ended on December 18, 1865 officially when Congress ratified the amendment and three Reconstruction Amendments. The Union and Confederate States then combined to make the US one again. The merits of Lincoln are the stepping stones to and have helped other more modern day efforts promoting freedom to all US citizens from many including Dr. Martin Luther King, Jr. Lincoln is considered by far the most important of all presidents in the 19th Century. The amount of freedom instilled in his administration is still today what makes this country so United. Every day ALL Americans have the asset of having more freedom than any other country in the world. The freedoms, while challenged all the time are also protected by the years of life in our Constitution. President Lincoln and Lincoln’s Birthday are so important to us all!